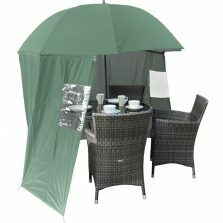 The forest green & white garden parasols are an inexpensive parasol for those long summer days relaxing in your garden. These are great when you need shade. 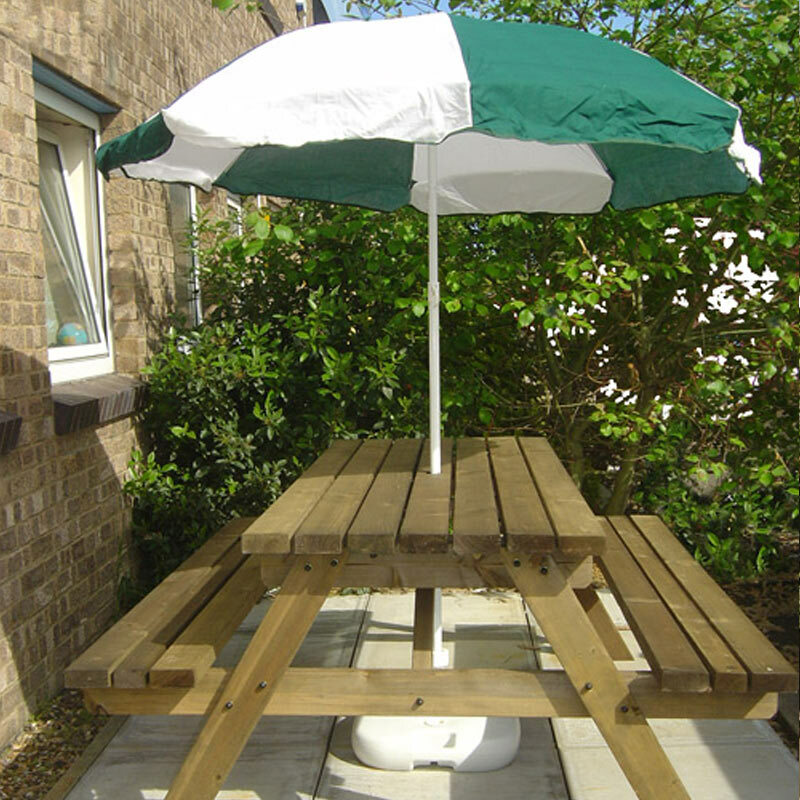 Equally useful when the sun disappears behind a cloud and starts to rain. Gloss white two-piece powder coated shafts with height-adjustable clamp and a tilt adjust mechanism to keep you in the shade as the sun makes its way across the sky. 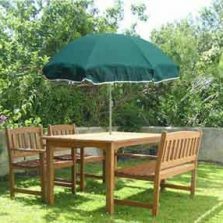 This garden parasol / outdoor umbrella really does make a quality addition to any garden and is great for keeping the sun or rain away! 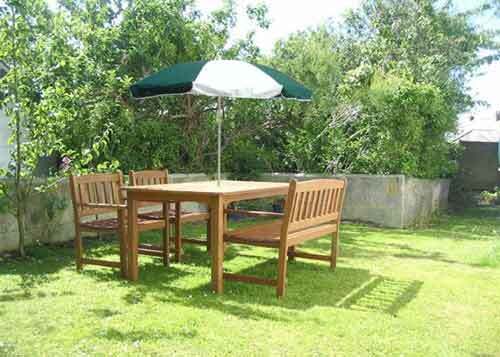 Canopy width is a substantial 180 cm (approx 70″) and maximum height is the same. Base unit is available separately. 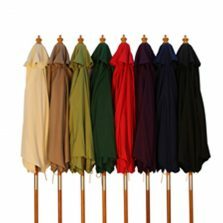 Need something to hold your parasol down? 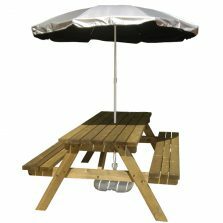 Check out our umbrella bases!